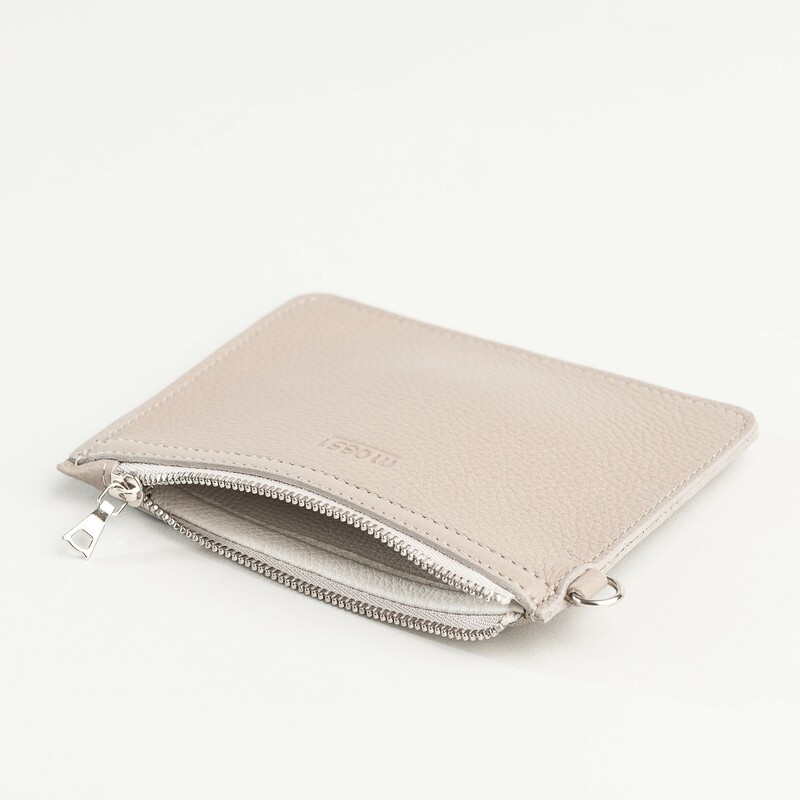 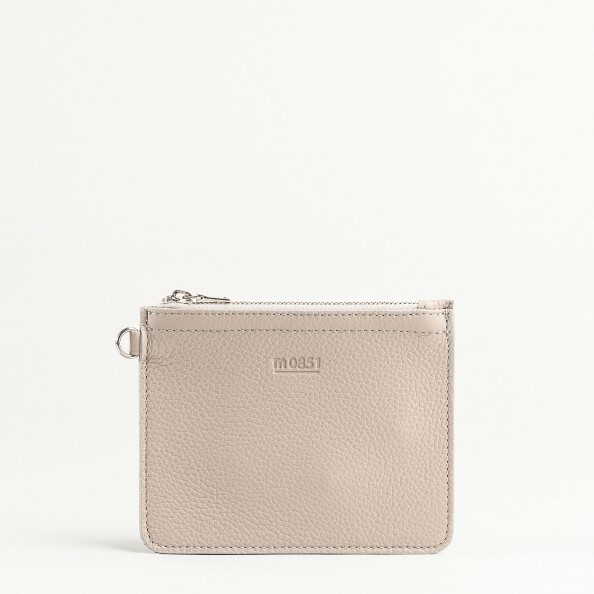 Our little zipped flat pouch with ring in Peggy leather allows you to carry your money. Big enough to slide in your cards, it transforms into a compact and thin wallet in a jiffy. It also features a metal ring to hang on a keychain.